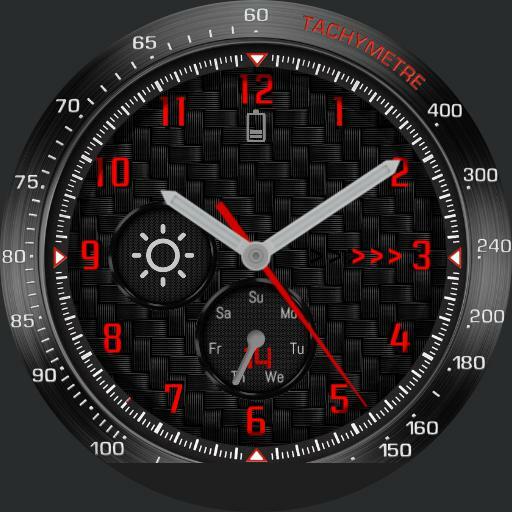 A sporty watch with red accents and a nice bezel, with weather and date info. Tap on weather icon to update info, the date to access your agenda and the arrows on the 3 dial for voice search. Big thank you to the WatchaWear community.